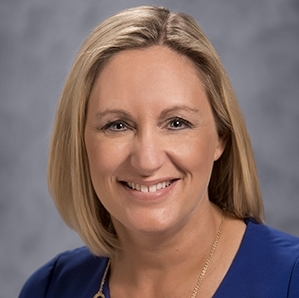 Amy Fellows Cline, a partner in the Wichita law firm of Triplett Woolf Garretson, LLC, was sworn in as president of the Kansas Bar Foundation on Thursday, June 14 during its board of trustees meeting in Overland Park. She succeeds the Honorable Evelyn Z. Wilson, who will remain on the board as immediate past president. Cline has been a member of the Kansas Bar Foundation’s Board of Trustees since 2013. She is also an active member of the Kansas Bar Association and received the KBA Young Lawyer of the Year Award in 2006. She currently serves on the University of Kansas School of Law Board of Governors. Cline earned her bachelor’s degree from Wichita State University and her juris doctorate from the University of Kansas School of Law. She is experienced in a wide variety of commercial litigation matters, including contract, oil and gas, employment, construction (both residential and commercial), and consumer protection disputes. Ms. Cline represents landowners and independent oil and gas companies in disputes before the Kansas Corporation Commission and courts across Kansas. She has also advised municipalities on oil and gas leasing issues. She commonly represents employers and employees in unemployment, wage, and discrimination disputes before the Kansas Department of Labor, Kansas Human Rights Commission, and U.S. Equal Employment Opportunity Commission as well as in non-compete and trade secret disputes in Kansas courts. Ms. Cline has handled numerous jury and bench trials in Kansas state and federal courts and evidentiary hearings before the Kansas Corporation Commission, Kansas Department of Labor, and arbitration forums. She also has significant experience appearing before the Kansas Court of Appeals and Kansas Supreme Court. Congratulations, Amy; you will do a great job !